Regarding the actual sinkhole cave on cave lane… I understood there were attempts back when we were kids to fill it, but some kids(un-named herewith) kept sneaking in and digging access to the cave entrance. 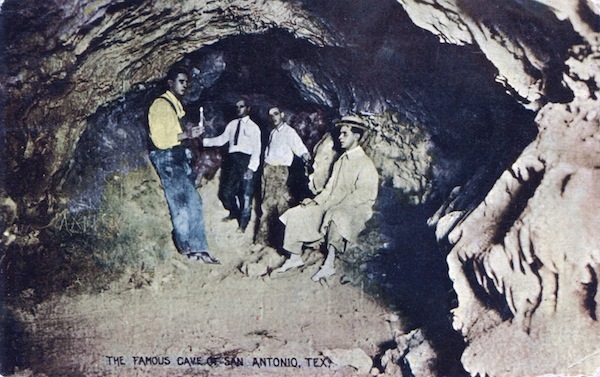 You should reach out to Taylor Sealy about going thru the cave, he was an ring leader in the story below! 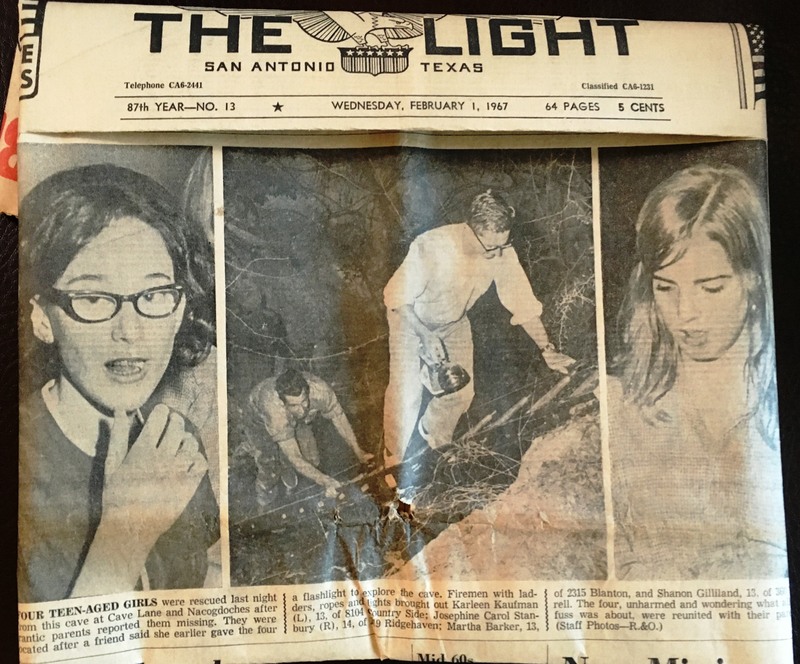 When we were kids, Taylor and some other kids and I all sneaked through the fence at the lot where the sink hole was located (I recall it seemed to be an entire lot but the hole was 15-20 feet deep!). The access to the cave was a small horizontal “crack” on one side of the sinkhole that might have been ten inches high if that! I recall one kid was just too big to fit in the crack and stayed behind. The access was so small in height and went for what seemed 6-10 feet into the tunnel I had to almost completely exhale in order to squeeze through to get to the large tunnel inside; pulling with my fingers and pushing with only my toes! I recall map codes scribbled on the walls of side tunnels (circles, dead ends, etc.). How we did not get absolutely lost in there is beyond me! We were in there with others hiking for several hours as I recall (seemed forever, with no end to the numerous tunnels) and finally upon exiting (another almost panic attack experience, we had the AH fire/police waiting for us outside the access as the hole was too small for them to attempt to get in and find us! We all thought we were going to jail! I don’t recall the outcome except a vague memory of being grounded for a small eternity. There were conspiracies that the tunnels went all the way to the Alamo and also some saying it went to the old TMI (remember that school?)! I also recall someone saying when they had just built the first HEB there at new braunfels/Nacogdoches triangle they hit the cave when drilling piers ( possibly doing site work and hit another sinkhole; not sure that really happened as there was no reason for them to drill piers for that type of construction but we were kids, what did we know?! ).